The folks over at Zelda Universe have posted up an article discussing their desire for Nintendo to open up a bit, and offer more exploration to the overworld, much like the games during the pre-Ocarina of Time era. Here is an excerpt from the article. Aonuma has even said he wants Zelda Wii to make the gamer feel like “they’ve really been on an adventure.” If that’s true, allow the player more freedom to explore Hyrule (or as rumor has it, somewhere other than Hyrule) wand make their own discoveries. Allow the player to make their own decisions based off what they discover and what little information they are given. Don’t tell the player that the next dungeon is in Death Mountain; let the player discover it for his or her self. Response: I cannot agree more and I think the linearity of Zelda has really been a problem. I think Ocarina of Time did a good job in terms of having somewhat of an open overworld. While the story was linear, at the very least, you were able to explore different parts of the overworld at different times. 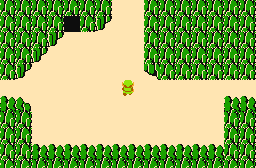 In games like Twilight Princess, Phantom Hourglass, and Spirit Tracks, this exploration seems to have been erased. The game is very linear and you only are allowed to go to certain areas of the game after defeating previous portions. I also think that the open overworld exploration has never quite been perfect on the 3d games. I think the overworld for a game such as the Oracle of Ages was still fun to navigate. Going between the two time periods and noticing the differences in the landscape was interesting. Especially how past events effects the future. I think that type of overworld exploration and interaction is what we need to see more from the future Zelda games, and hopefully we see that with the upcoming Legend of Zelda title for the Nintendo Wii.